Geography: Piper Nigrum is originally native to Kerala in southern India, but Vietnam is now the largest producer of pepper, producing around a third of the global crop. 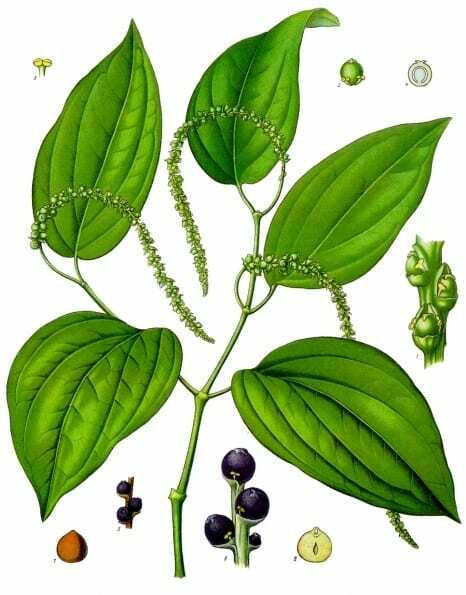 Characteristics: The pepper plant is a woody, flowering vine with short, broad leaves. The fruit, known as drupes, grow on long spikes and are green when unripe, turning a dark red as they ripen. In green pepper production the drupes are harvested unripe (hence the green colour) and dried, leaving the green outer skin intact. To produce black pepper, the green drupes are cooked before drying. For white pepper production, the drupes are allowed to fully ripen before harvesting and the outer skin is removed, leaving just the white seed. In gin, as in its other uses, the main characteristic of pepper is the spicy warmth from the naturally-occurring alkaloid piperine contained in the peppercorn. Other Uses: Aside from gin, black pepper is frequently associated with vodka, both as a flavouring (though not in Absolut Peppar, which uses chilli peppers) and as an essential ingredient in Bloody Marys. Away from booze, apparently black pepper is occasionally used in some cultures as a condiment… oh wait, it’s actually one of the world’s most traded spices and present in the cuisine of just about every culture on the planet (going back at least 4000 years in Indian cuisine). You knew that already. So, more interesting and esoteric uses… pepper has historically been used as a folk medicine in many cultures to combat eye complaints (ouch! ), constipation (double-ouch!! ), toothache, sunburn and insomnia. There is no record of any of these treatments working. Nowadays, pepper is frequently found in skincare products, shower gel, facial washes, ‘anti-ageing’ creams and various other health and beauty products. There is still no record of any of these treatments working. Appears In: Gins known to use pepper as a botanical include Opihr, Cotswolds Dry and Monkey 47. Pink peppercorns are not actually true pepper – they’re from a different species, Schinus Molle from Peru, or Brazil’s Schinus Terebinthifolius both of which are from the Anacardiaceae (cashew) family. Peppercorns were found in the tomb of Ramesses II (actually they were found stuffed up the poor blighter’s nose), adding to the numbers of future gin botanicals found in Egyptian burial sites: juniper, cardamom and coriander were all found in Tutankhamun’s tomb despite not being native to Egypt. 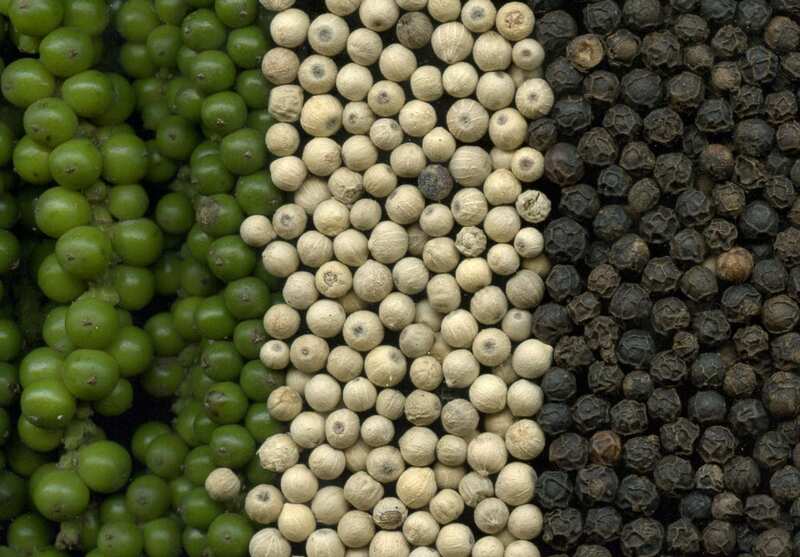 The value of pepper used to be so high that it was known as ‘black gold’ and even used as a currency, from which we get the English term ‘peppercorn rent’ (which now, counter-intuitively, means ‘very cheap’) and the Dutch peperduur, meaning very expensive. That’s it for your Black Pepper Profile, folks! Check out the rest of our Gin Botanical Profiles here!